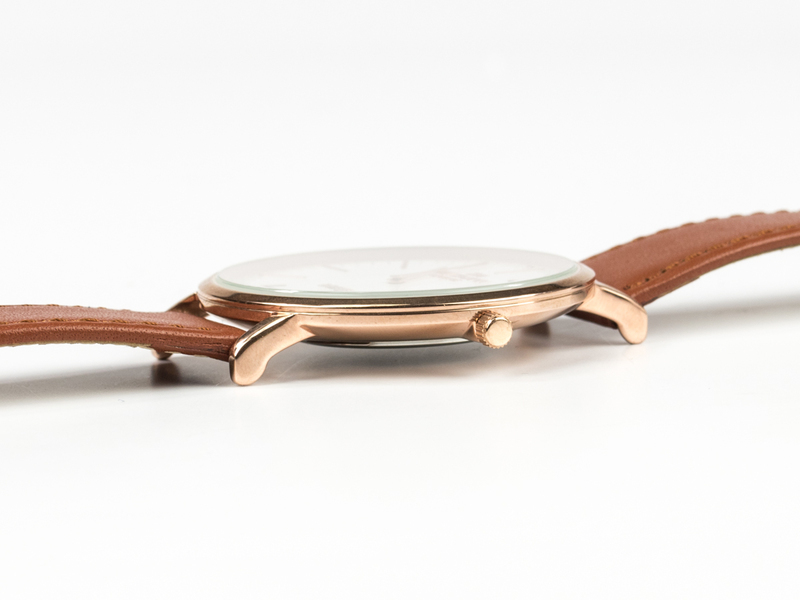 The super flat watchcase (only 7 mm!) 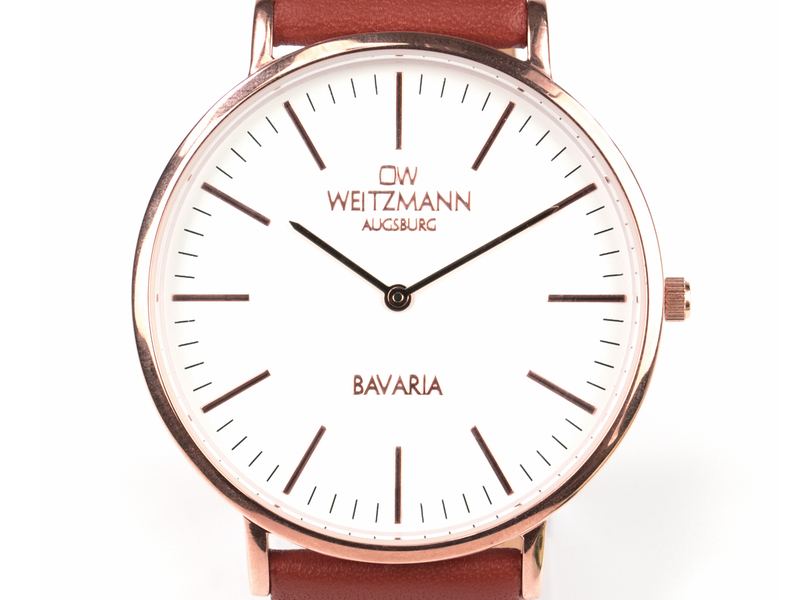 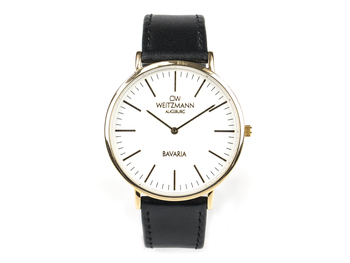 and the classical, reduced form are the typical characteristics of this elegant watch „BAVARIA“ from the OW WEITZMANN collection. 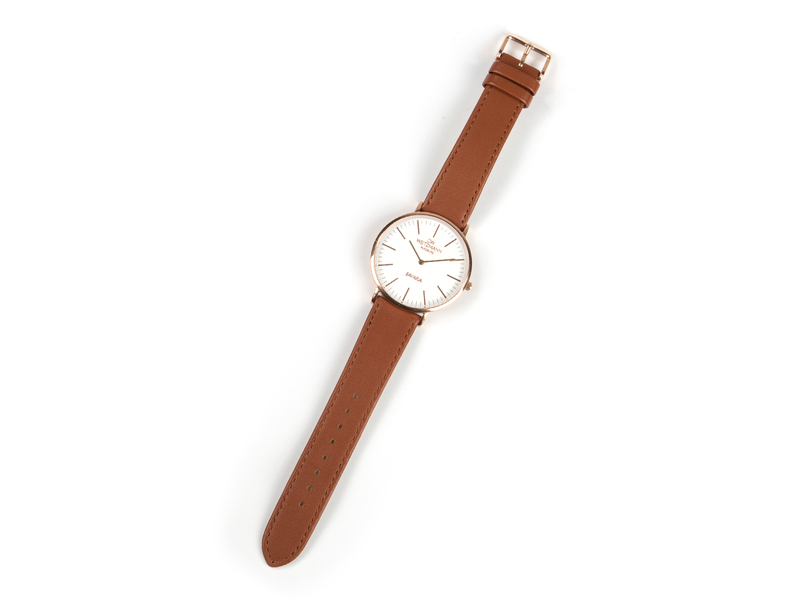 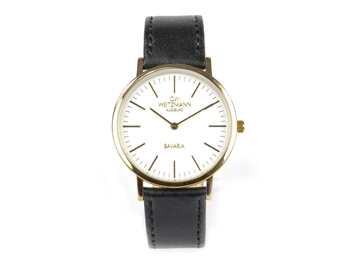 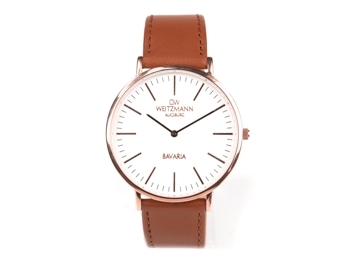 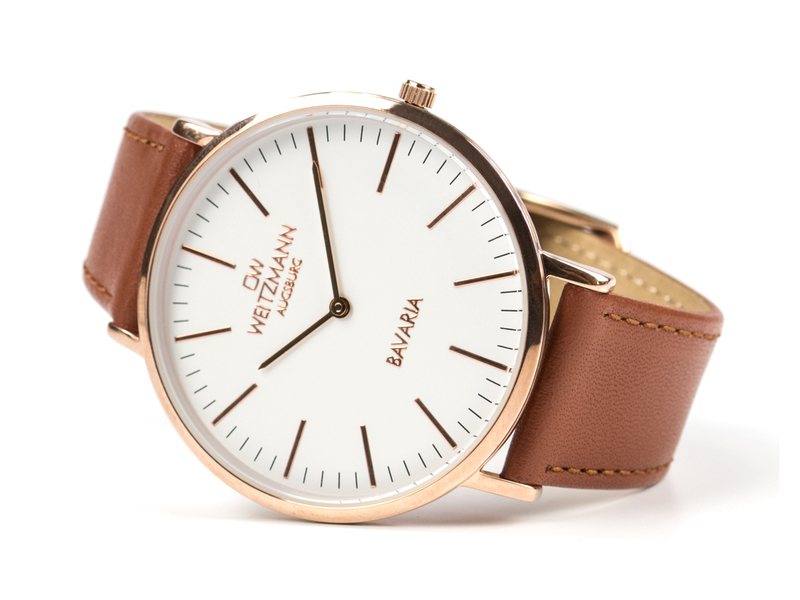 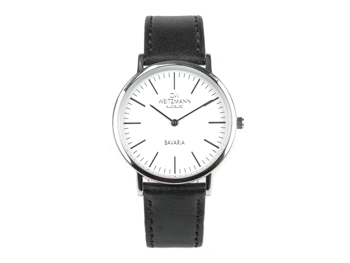 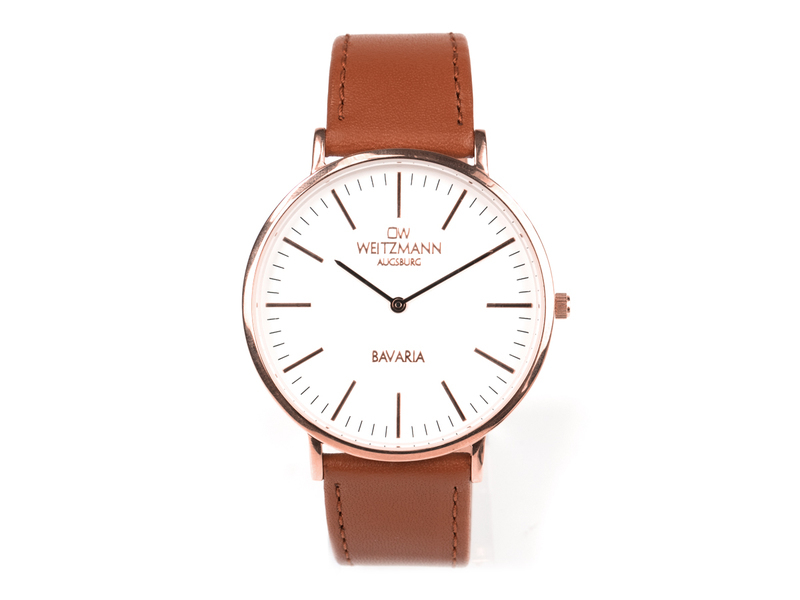 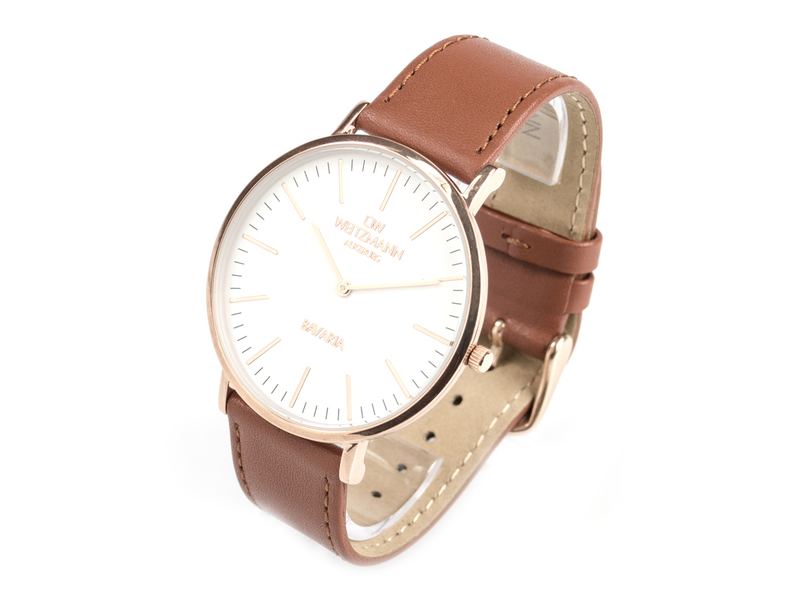 This timelessly beautiful watch has a simple white dial and a Japanese quality quartz movement running in a robust stainless steel case (diameter 42 mm, 3 Bar) either in the colours silver or gold with a genuine leather strap in black or in the colour rose gold with a genuine leather strap in brown (band attachment width 20 mm). 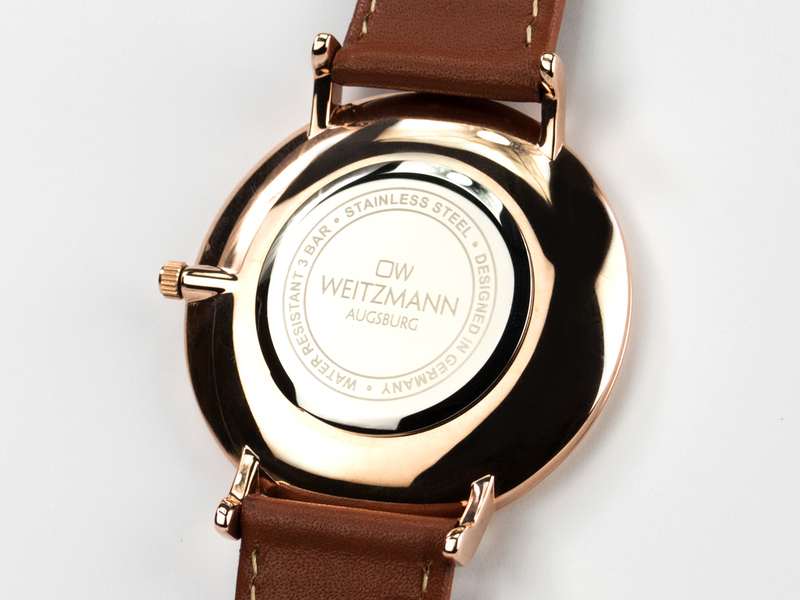 The arms of this watch as well as the markers on the dial are oriented towards the chosen colour of the watchcase in a stylish way. 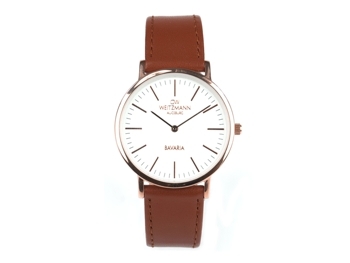 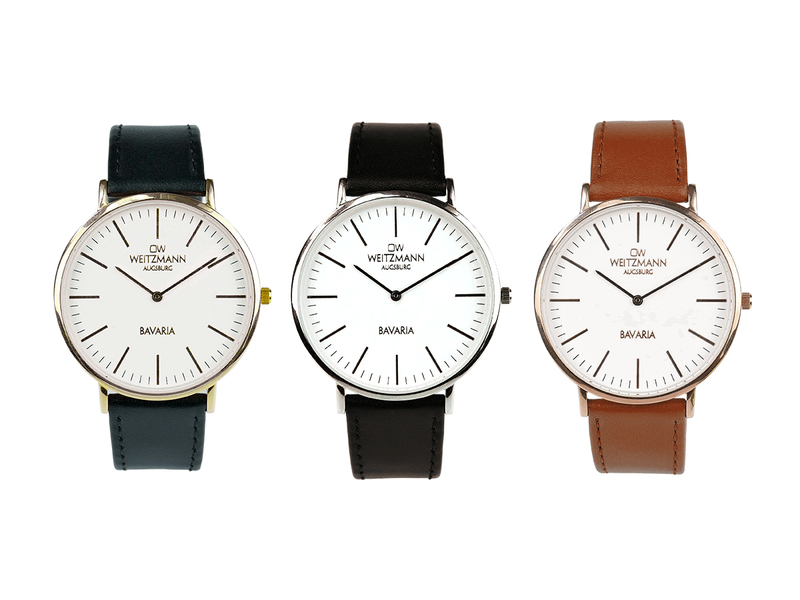 This eye-catching watch is the perfect partner of every modern man for business and also leisure time. 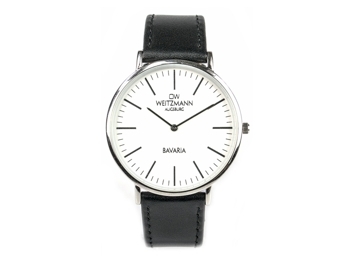 Also available as ladies' model with diameter 36 mm.